A fascinating blog on Irish textiles – there really is much more to us than the famine! I think it needless to exhort the clergy to follow this good example, because in a little time, those among them who are so unfortunate to have had their birth and education in this country, will think themselves abundantly happy when they can afford Irish crape, and an Athlone hat; and as to the others I shall not presume to direct them. And so what was an Athlone hat? 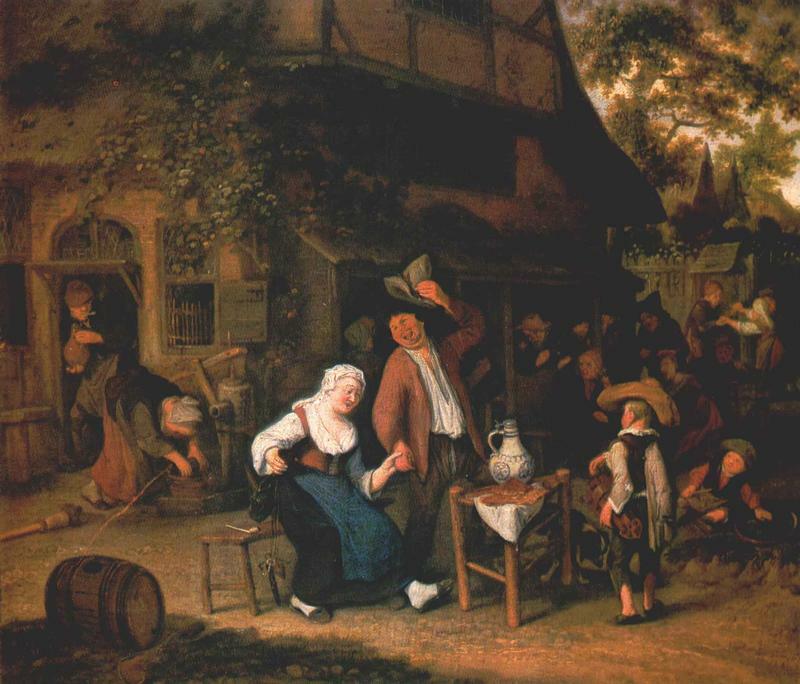 “A Merry-Making” by Dutch painter Cornelis Dusart, 1692 (hangs in the National Gallery of Ireland). 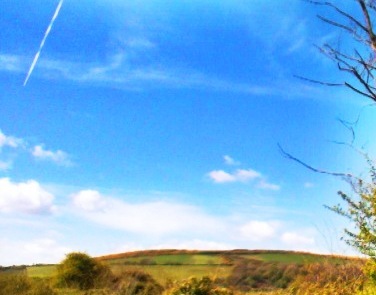 See the resemblance of the felt hats worn by the peasants here to the boggy ones below. On April 8 1912, Francis Browne, a theology student studying for the Roman Catholic priesthood left Dublin carrying a First Class ticket for the Southampton- Cherbourg- Queenstown (now Cobh) segments of the maiden voyage of the ‘unsinkable’ liner, the RMS Titanic. Frank as he was known, was a seasoned traveller – he had previously wandered across Europe courtesy of his uncle, Robert Browne,who was the Bishop of Cloyne. Uncle Robert had given him a gift of a camera for the European trip, and Frank enjoyed taking photographs of a very high standard. The camera was again put to good use during those hours on board the Titanic. A wealthy family on board offered to pay Frank’s fare for the entire trip to New York, and he dutifully sought permission from his religious order, the Jesuits , to continue the voyage. Permission was denied and he was ordered to ‘get off that ship’. A fortuitous order as it turned out, as not only did it probably save his own life, it meant that the pictures taken on board did not end up at the bottom of the Atlantic. Unperturbed, Browne set out on his lecture tour armed with the last pictures ever taken of the mighty Titanic, with excellent shots of the interior, the crew, and passengers from First to Steerage class, many of whom had perished. Ordained in 1915, Fr Browne went on to become chaplain to the Irish Guards and served the dying at many of the bloodiest theatres of World war 1, including Messines Ridge, , Paschendale, Ypres. Wounded several times and gassed, he went on to become the most decorated chaplain of the First World War, being awarded the Belgian Croix de Guerre (First Class) with palms and on two separate occasions, the Military Cross and bar. This extraordinary man carried his camera everywhere and documented life everywhere he went – all over Ireland, and including Australia and England and other places across the world. Some years after his death in 1960, a fellow Jesuit priest, Fr Eddie O’Donnell, happened upon an old trunk with ‘Fr Browne’s Photographs’ written in chalk. It contained some 42,000 negatives, with many in poor condition. The Jesuit order arranged for the preservation of the negatives by Davison and Associates and they own copyright for all Fr Browne’s photographs. Fr O’Donnell is the curator of the collection and has published several volumes, listed below. Photographs of the Titanic are much sought after by those interested in the tragic liner. The photographs of the Harland & Wolff official photographer R J Welch taken during the construction phase are housed at the Ulster Folk and Transport Museum. 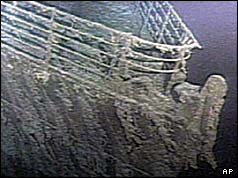 In 1985 the wreck of the Titanic was discovered on the seabed by Dr Robert Ballard and some 20,000 new images were taken. Now, to mark the centenary of the loss of the Titanic, National Geographic has produced some spectacular new colour images of the wreck. These can be viewed here. Whilst ghostly images of the rusting and mangled Titanic on the sea floor may continue to become available with the development of new photographic techniques, it is the simple black and white ‘snaps’ taken on a relatively primitive box camera of Fr Francis Browne that tell the real story of the first and last voyage of the RMS Titanic, thereby ensuring that the memory of this calamity will indeed be perpetuated. Some of Fr Browne’s photographs can be seen at the official website www.titanicphotographs.com. 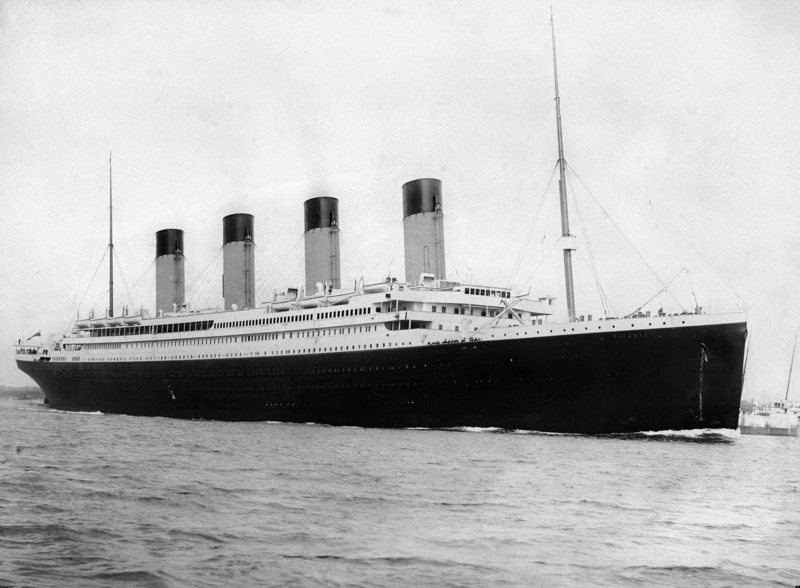 Titanic 100:5 Myths spread by films. Who claimed that The Titanic was unsinkable? Did the Titanic slip into the icy depths to the air of Nearer My God to Thee being performed by the orchestra? Was J Bruce Ismay, Chairman and Managing Director of the White Star line, really a coward who jumped ship to save his own skin? Captain Smith – a hero or guilty of inexcusable errors of judgment? Were the steerage passengers prevented from boarding lifeboats ?